We arrived at dusk and set up our tent in the semi-darkness. There was a deep blackness on the far side of us, which we took to be the cliff; we knew that it rose several hundred feet from the floor of the river valley on which we camped. We sensed rather than saw its massive presence. Awaking the next morning we peered sleepy-eyed out of our tent and saw something else. There beside us perched a huge boulder, some five metres in diameter and ten tonnes in weight. When had this megalith landed here? With dawning realization we began to understand our delicate position: we were either beautifully safe, protected by the huge sentinel that shadowed us from other harm, or we were in desperate danger, lounging in avalanche territory. This megalith is Jesus. He holds a unique and controversial position as a result of His arrival among us. He was a Jew, defined by His heritage as one who kept Moses’ law, but He up-ended the system by His work on the cross. He nullified the natural inheritability of being considered ‘children of God’ by birth, rather making relationship with God available only by faith. “In other words,” explains the transformed Jew, Paul, “it is not the natural children who are God’s children, but it is the children of the promise who are regarded as Abraham’s offspring.” He continues to explain that those who pursue moral or spiritual merit by works, pride or ignorance will not attain it. Only those who simply entrust their future to the finished work of Jesus are considered right with God. Jesus becomes a stumbling block to the one, and a Rock of Ages to the other. This is why Jesus is so controversial here on earth. People seem to despise, discount, or dishonour Him, or they find Him to be their sole hope and protection. It comes down to how we embrace Him. So here again we find ourselves at a crossroads. 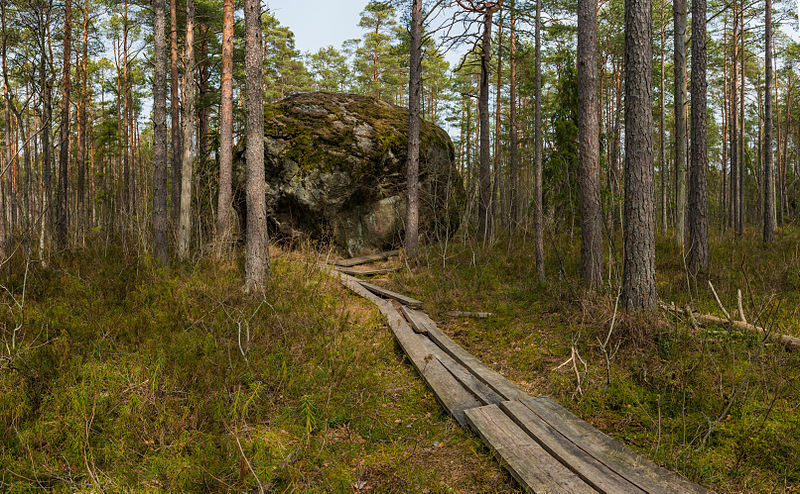 This time there is a huge boulder in the middle of the path. We cannot go over, under, around or through it. We must place ourselves under its shadow, in deference to its power, or stumble as a result of it. We make the choice every day in innumerable ways. When we awake, we choose to honour and praise Jesus for our opportunity of life, or we ignore Him and plug into the world’s messages for counsel. When we do our daily tasks, we consciously seek to please Jesus by living with integrity and loving those around us, or we insist on seeing the world as our plaything. When we have leisure time, we choose to invest in our relationship with God and others, or we invest in our own pleasure. We make these choices every day. The Cornerstone is not going away. His influence is here to stay and we can either be strengthened by Him, or stumble over Him. “For who is God besides the LORD? And who is the Rock except our God?” (Psalm 18:31). Imagine being lost on a mountain. You had been on a path but somewhere you lost it. The undergrowth had thinned as you entered a section of towering trees whose thick upper canopy had obscured the sun; little grew on the forest floor there so the path had lost its boundaries. 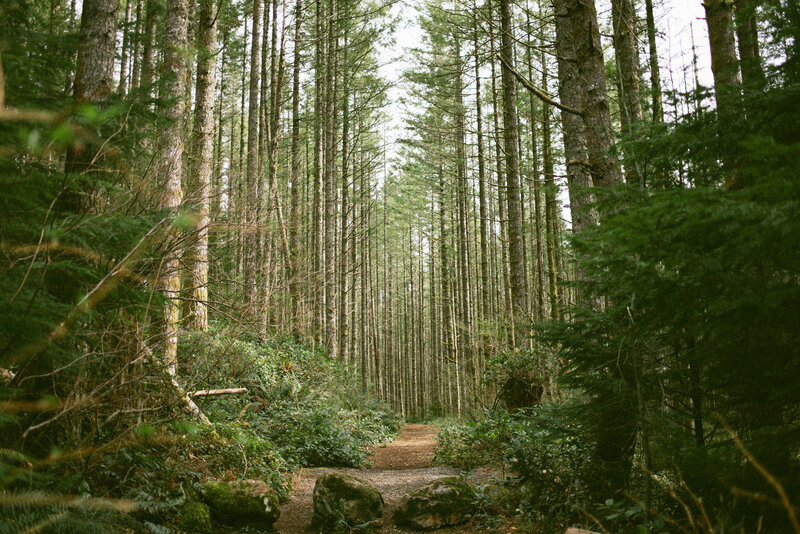 It seemed as if you could take any route you liked through those majestic Cedars and Douglas Firs. Soon the trees thinned, though, and the slope began to steepen. You were forced to descend now through a thicket of thorny nettles before you finally realized this was not the route you planned. You had lost your path, the sun was setting, and you were footsore and weary. Imagine, through the gloom, suddenly catching sight of a path marker. How would that feel? What if that marker led you a little bit uphill where you came to a crossing of trails? At this crossroads you feel rather than see a powerful mountaineering Father and his Son each reaching out a strong hand to draw you up the steep rock to where they stand. They welcome you, seat you on a mossy outcropping where the setting sun is still sending shafts of its light to the earth, and they serve you a delicious meal cooked over a crackling fire. After dinner they settle you in a hammock with a feather-light blanket and keep watch over you through the night while you sleep off your weary fatigue. Chapter Eight of the book of Romans speaks of a scenario like this. It speaks of God not in terms of wrathful Sovereign but as a welcoming Father. Those who accept His hand become His children and discover what it means to have a Real Father. No inconsistencies. No failures to show up. No breaking of relationships. With this Father, there is inseparable belonging. This Father never leaves those of us who enter into relationship with Him as His children. He is both willing and able to take us through the remainder of our trek here in this life and bring us to our final destination. There will be challenges. He never promises the path will be easy. But He is always there leading, guiding, giving vision, purpose, rest, and especially a sense of inseparable belonging. The only other option is stubborn refusal to accept Him. It means remaining lost on the pathless mountainside of this life. It means never really, inseparably belonging to one Who offers inextinguishable love. The choice is ours. Abba Father, thank you for your never-failing love and compassion for me. You found me when I was lost and you will never leave me. I am blessed by the inseparable belonging You have gifted me with as a child of Yours. Jesus, as I take Your nail-scarred hand, lead me on the path that leads to our eternal home. 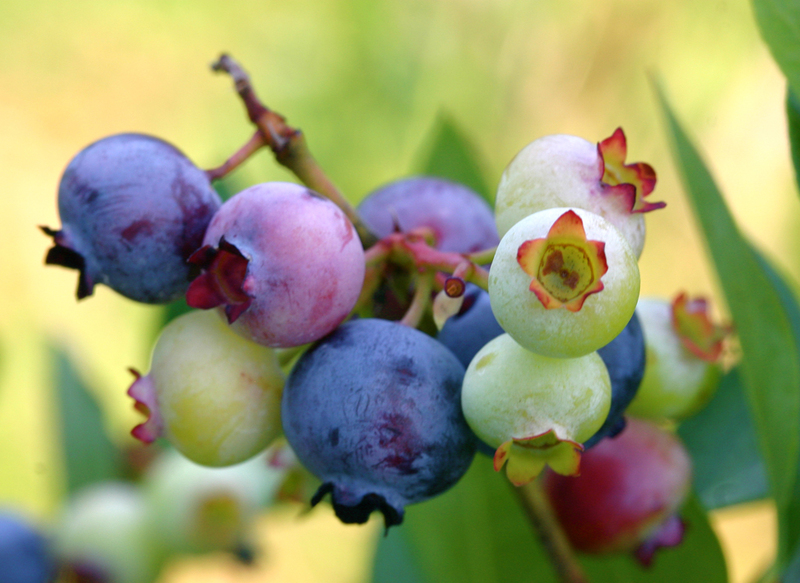 Poisonous fruit: we have our stories of them. From Adam and Eve’s accursed eating of the produce from the banned tree, to the fairy tale Snow White’s bite of the evil queen’s tainted apple, poisonous fruit brings death. The picture paints a strange irony. Fruit speaks of health and life and sweet flavour; poison speaks of venom, bitterness, and death. That the two might be combined in one villainous package speaks of evil trickery upon foolish and unsuspecting victims. Romans chapter seven develops this same theme. The Apostle Paul explains “when we were controlled by the sinful nature, the sinful passions aroused by the law were at work in our bodies, so that we bore fruit for death”. Not only have we tasted the forbidden fruit of our rebellion against God, but also, according to Paul, we are poison-fruit producers. We are not only victims of the problem but also promoters and propagators of it. We might attempt to produce healthy flourishing lives, but ultimately we discover we bear fruit that is disappointing – more than that – distorted and even deadly. We just cannot escape the influence of Adam’s foolish choice. In stunning contrast to that dark and disturbing picture, we see a depiction of healthy life-giving fruit, and ourselves as good-fruit producers. “So,” encourages Paul, “you…belong to another, to him who was raised from the dead, in order that we might bear fruit to God…so that we serve in the new way of the Spirit.” Through our attachment to Jesus, who is metaphorically called the “second Adam,” we are removed from the poisonous weed of rebellion against God and grafted into the True Vine, Jesus’ eternal life. As a sweet corollary to our transplantation, we are now able to “bear fruit to God.” Our lives, simple and trusting, can be used by God to bring about real, eternal, lasting good. We become part of God’s plan to recreate and revitalize His creation. It will never be a result of our own position or power or creativity; bearing fruit to God comes as we live in dependence upon His indwelling Spirit. Jesus described it this way: “I am the true vine, and my Father is the gardener. He cuts off every branch in me that bears no fruit, while every branch that does bear fruit he prunes so that it will be even more fruitful. You are already clean because of the word I have spoken to you. Remain in me and I will remain in you No branch can bear fruit by itself; it must remain in the vine. Neither can you bear fruit unless you remain in me” (John 15:1-4). Again, we see the crossroads splitting our path; this time the emphasis is on the ‘fruit’ we produce with our lives. One path leads to ‘fruit for death’ – the dreadful results of living life our own way. The other path leads to ‘fruit to God’ – the ripe, full, health-giving produce of our lives. “But the fruit of the Spirit,” explains Paul, “is love, joy, peace, patience, kindness, goodness, faithfulness, gentleness and self-control. Against such things there is no law” (Galatians 5:22,23). If you see someone with a life displaying this honest-to-goodness life fruit, you’re seeing a God-work in progress. Fruit like this is the result of belonging to Jesus and allowing His Spirit to lead every step of the way. Ask Him to make you fruitful and just see what He will do in your life. “Through Jesus, therefore, let us continually offer to God a sacrifice of praise – the fruit of lips that confess his name” (Hebrews 13:15).